Baby Bulldog is the quirky solo project from LA based drummer, Steph Barker (Coast Modern, Kate Nash, Your Smith). Using her percussive nature to set a unique foundation, Steph has created a lo-fi world of strange, yet distinctively imaginative themes. 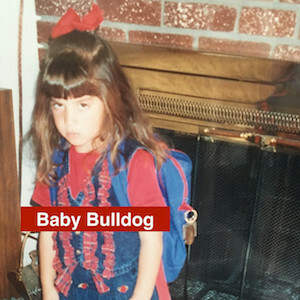 She wrote, produced and performed Baby Bulldog’s debut EP from her home studio in Silver Lake.